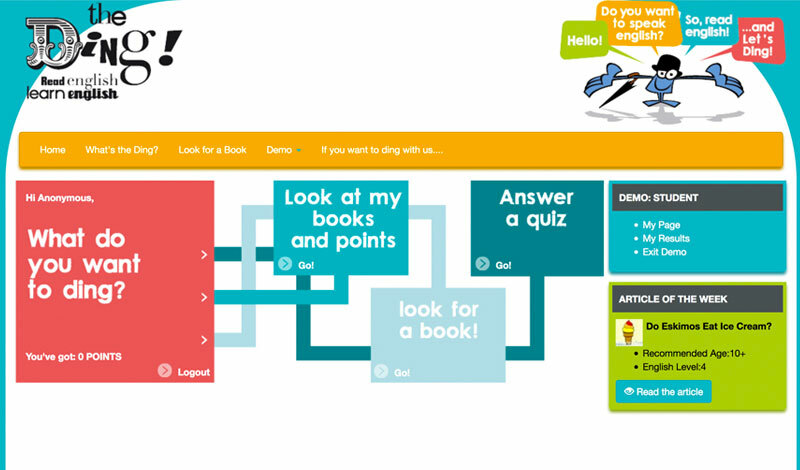 An interactive program for learning English based in the exciting world of books. 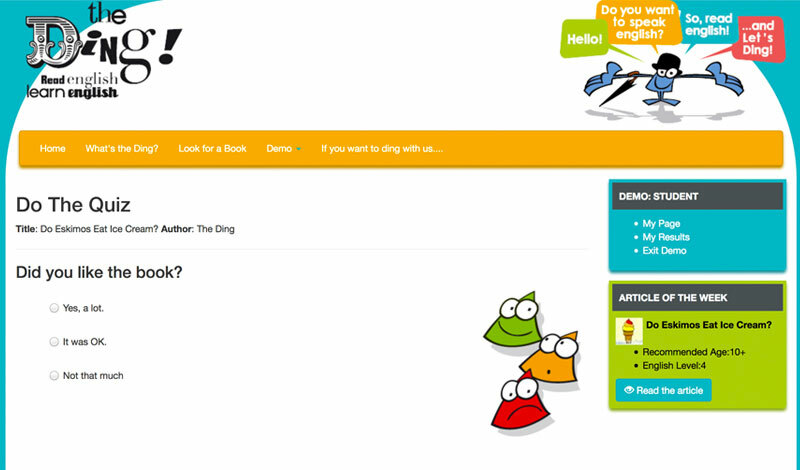 The Ding helps children learn English by reading books which are suited to their language level and experience. After reading, students answer questions in quizzes to check their understanding. 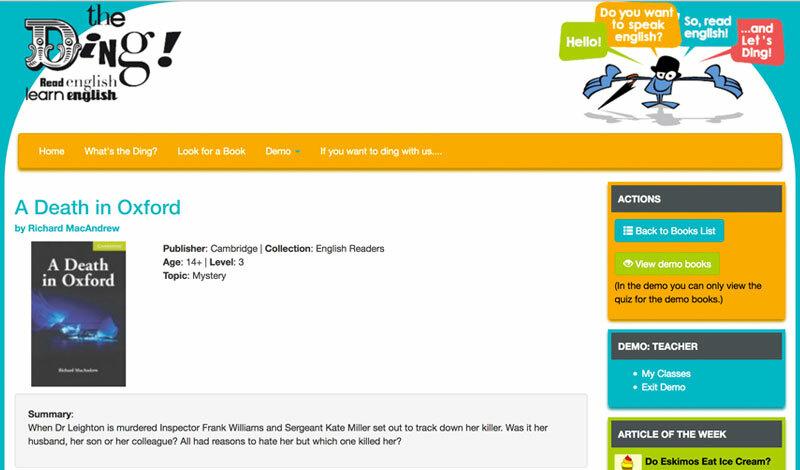 On the Ding there are quizzes about books for readers from 6-16 years old with different levels of English (from beginner to advanced and bilingual level). 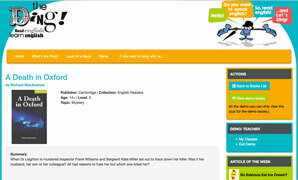 There is a wide range of texts from authors around the world. With the Ding, English lessons become varied and fun and allow the teacher to closely follow each student’s progress in English and in reading. English has become the universal language of communication and the earlier we start to learn it the easier and the more entertaining it is.